When Barbara Taylor began the search for her perfect retirement property, she never imagined she would end up living on the site where she went to boarding school over 50 years earlier. “After I was widowed in 2000, I had a near fall in my home and decided it was time to make the move to a smaller property,” explained Barbara. “I looked at a number of different retirement villages but it felt like fate when I stumbled upon Lime Tree Village. Cawston House, which sits at the heart of the village, was once my home, where I lived as a schoolgirl. Barbara talks about her time at school like it was yesterday. “It was November 19th 1940 and I was sitting in my dormitory room on the first floor of Cawston House. I watched from the window as red flames and black smoke filled the sky – Coventry was burning,” she said. “A few months on in the height of the Blitz, the school decided to swap the use of the building. Our dormitories, which were on the top floor, were swapped with the classrooms on the ground floor, to protect us should a bomb hit. “In hindsight it’s quite funny when you think about it, it wouldn’t have made a blind bit of difference!” laughed Barbara as she reminisced back to the early 40’s. Her childhood memories of school life are vivid and have enhanced her enjoyment of living in the village. Barbara took her time when choosing her Lime Tree property, holding out until the old stable block conversion was complete. 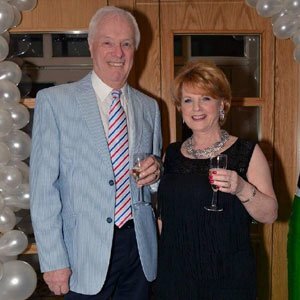 “I knew that if I was going to buy a property at Lime Tree Village it would have to be in the old stable block, so I held out and I’m so glad I did. It feels so comforting to be here again, in the place where I shared so many happy memories. Barbara, aged 87, has always had a passion for travel and continues to lecture on cruise ships all over the world.